For the WWP event ‘color’ Markus and I decided to take some pictures of subway stations in Munich. We finally ended shooting our images at the subway station Candidplatz and at the subway station Westfriedhof which are both extremely colorful stations. 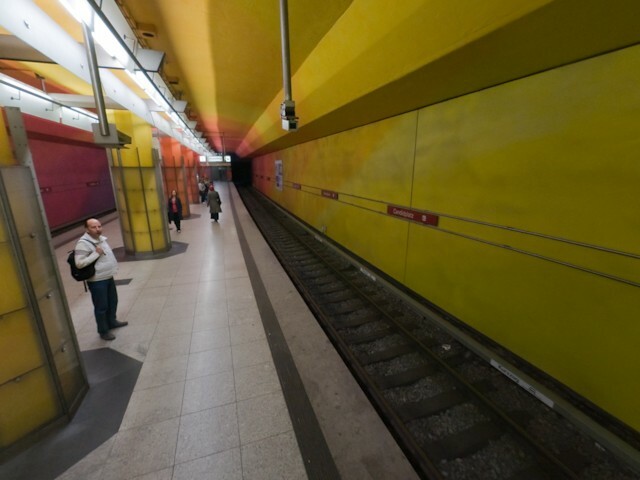 This is the panorama of the subway station Candidplatz. Author PanoTwin JürgenPosted on June 21, 2008 October 5, 2017 Categories Pano Interactive Sphericals, UncategorizedTags Pole Shot, Sony Alpha 700Leave a comment on On top of the MAIN TOWER in Frankfurt am Main. Only 28 minutes left until the start of the JPMorgan Chase Corporate Challenge 2008. Some of the 73,719 runners are still on their way to one of the starting areas of the race. 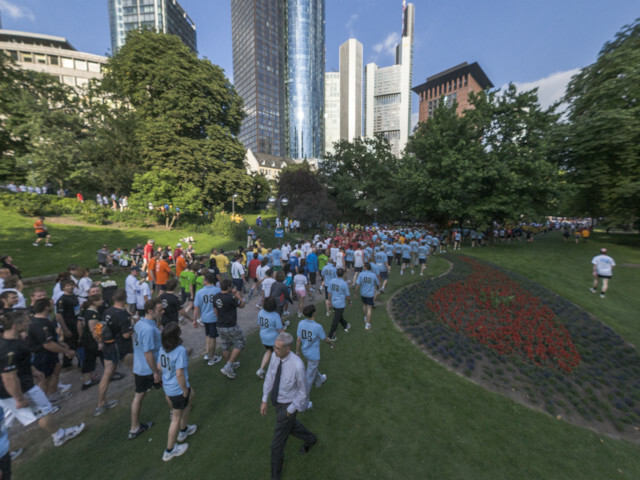 Only 31 minutes left until the start of the JPMorgan Chase Corporate Challenge 2008. Some of the 73,719 runners are still on their way to one of the starting areas of the race. 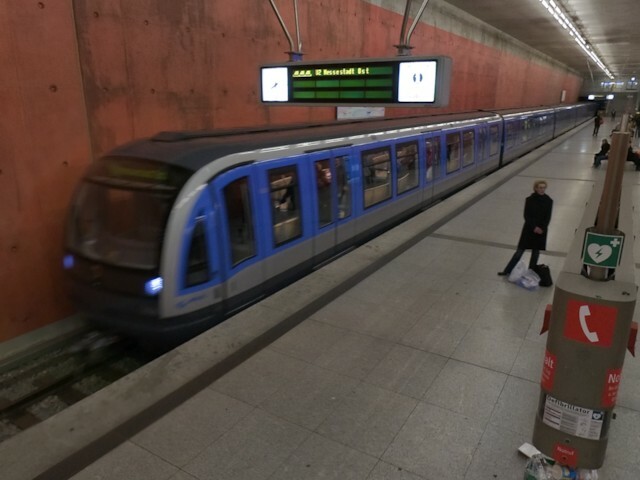 This image is a reprojection of Munich subway station Messestadt West. The projection is stereographic down. It’s also available as an interactive spherical. 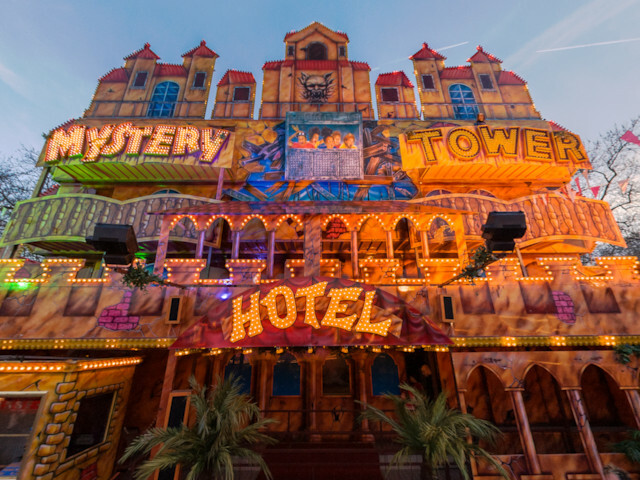 This panorama is an impression of the fun fair Dippemess in Frankfurt am Main, Germany. This panorama was stitched from five images in portrait orientation. The resulting image is 8000 x 3000 pixel. This panorama is my entry for the WWP event “Transportation”. As the shooting location is the middle of a heavy used bridge I couldn’t use a tripod. Instead I used a virtual tripod, which is also called a Philopod. I just started shooting, and when the passenger volume over the bridge grew too large I could easily step aside. With a fisheye attached to my camera, four pictures (each with the camera pointing to a different cardinal direction) cover the full sphere. But as I wanted to show some passengers I took 22 shots and afterwards I selected the four shots, with the most passengers captured. As the roof of the station contains lots of details I took two additional pictures for the zenith. 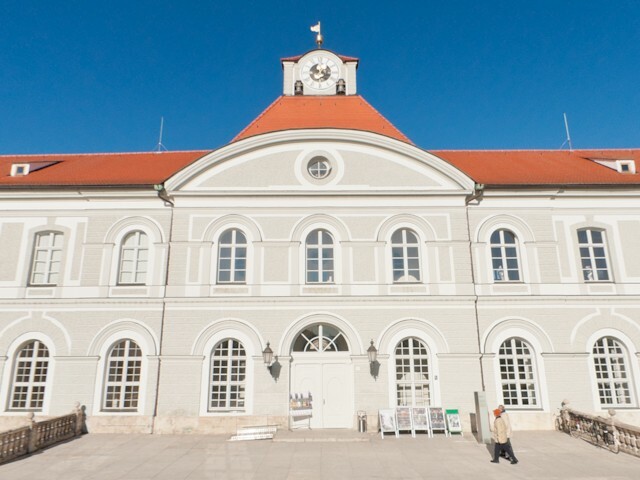 One of the pictures was used in the final panorama. Due to the use of a Philopod as “tripod” it’s footprint was not visible and therefore the nadir was retouched manually.